New to the Oxford area! 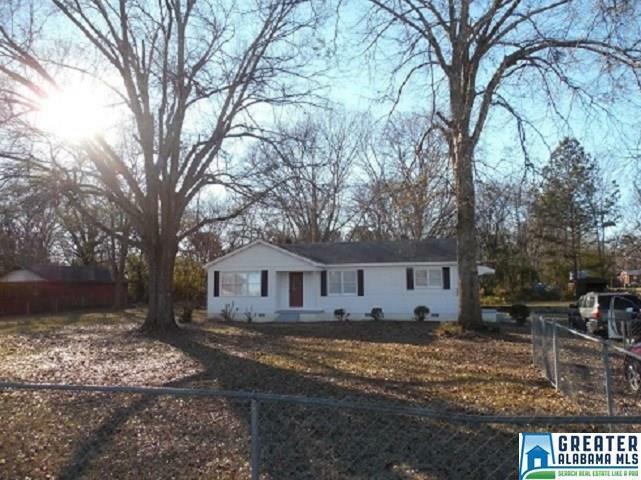 Newly renovated 3 bedroom, 1 bath home located on 1+/- acres with huge yard is ready for new homeowners! Property is completely fenced. New Heat Pump (2017), hardwood floors, updated kitchen and new bath. Closets with lots of space are available throughout this home. Lots of Oak and Pecan trees in yard. Lots of room to keep children and pets safe! Back yard is located in a flood plain and flood insurance is required. Seller has a "Property Loss History" that states there have been no claims on property since 1978. Driving Directions: From Oxford, Take Hwy 78 West. Right On Caffey Dr. Home On Left. Copyright 2019 Birmingham Area Multiple Listing Service. All rights reserved. The data relating to real estate for sale on this web site is provided by the Birmingham Area Multiple Listing Service. Information provided is for consumer\'s personal, non-commercial use and may not be used for any purpose other than to identify prospective properties consumers may be interested in purchasing. This site will be monitored for \'scraping\' and any use of search facilities of data on the site other than by a consumer looking to purchase real estate, is prohibited. Listing broker has attempted to offer accurate data, but buyers are advised to confirm all items. Information last updated on 2019-04-21.